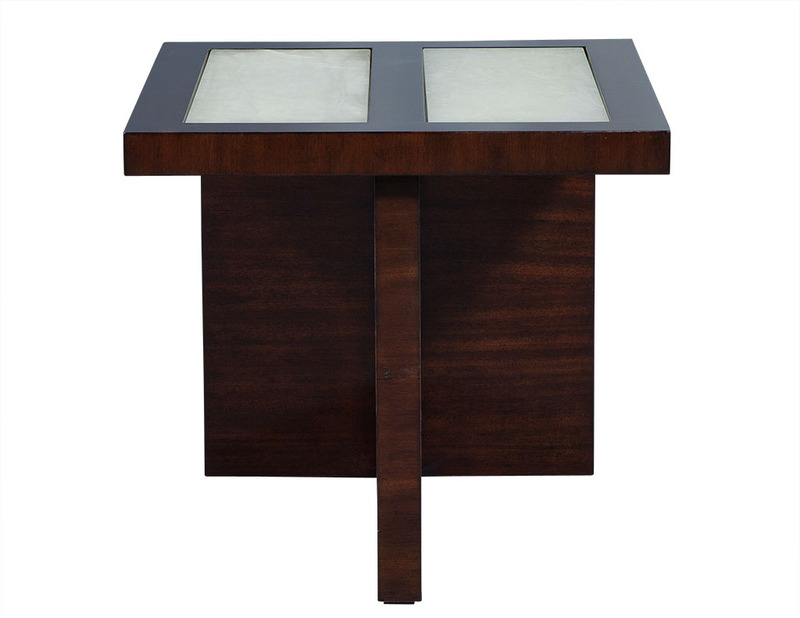 This modern end table is designed by Allison Paladino. 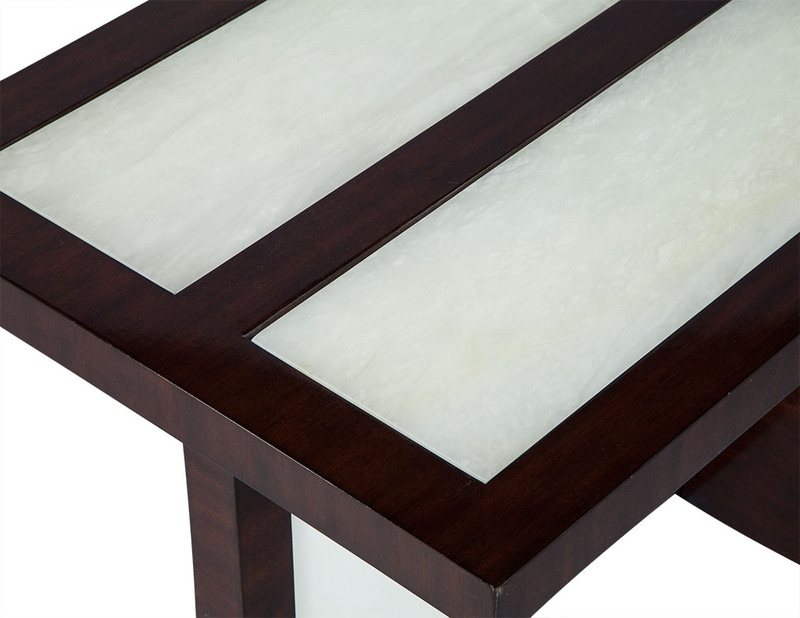 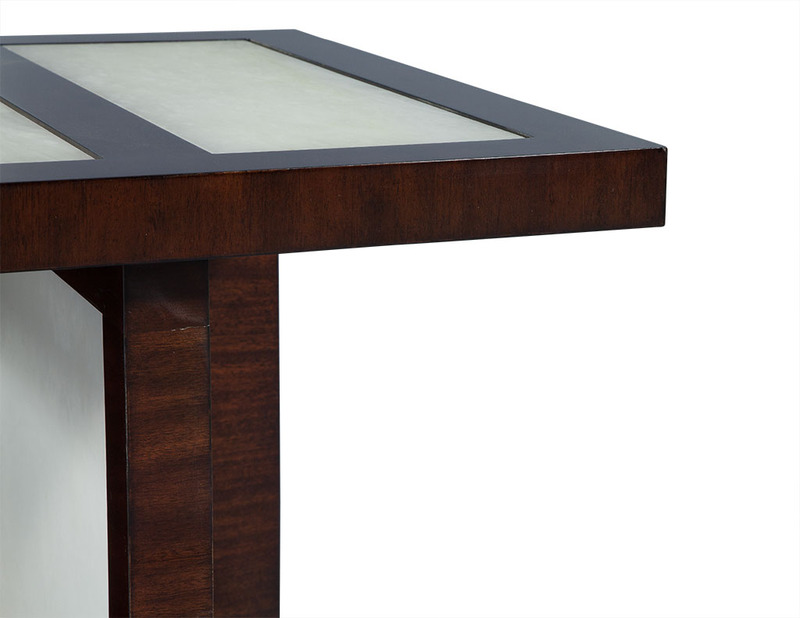 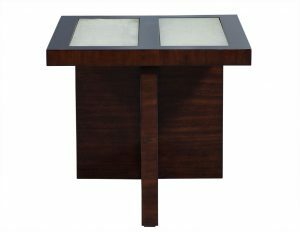 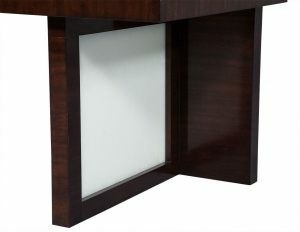 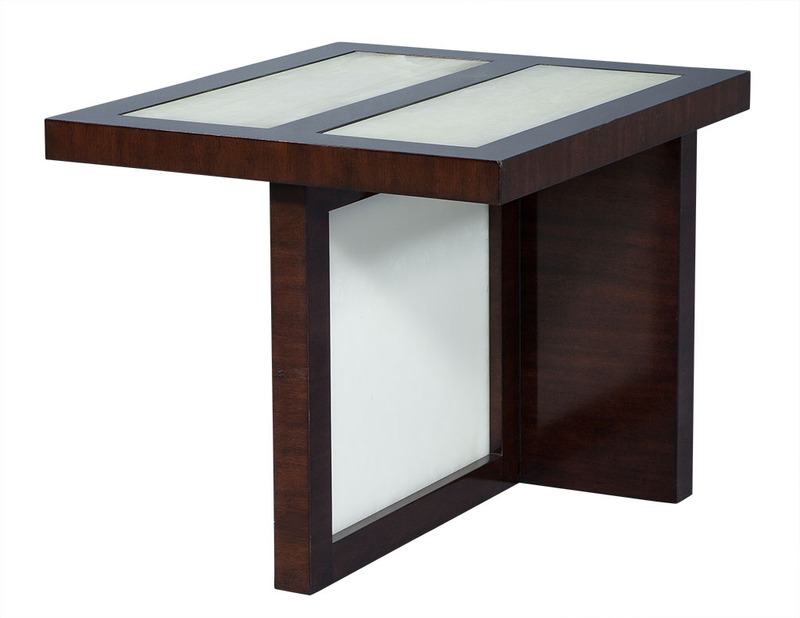 It is comprised of white stone panels on the table top and base all framed in a mahogany case finished in a dark cherry stain. 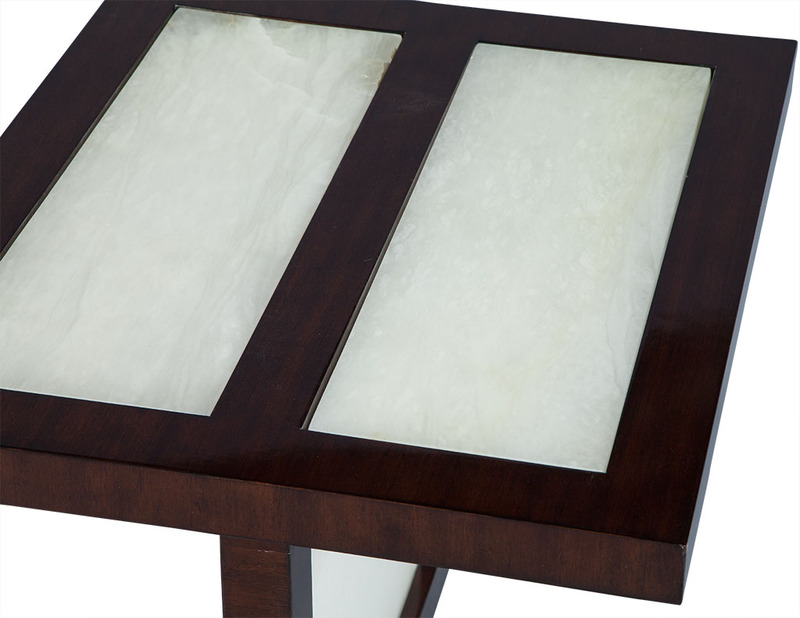 The contrast is absolutely gorgeous, and makes it a perfect addition to any living area!